Supergirl challenges the Kara/Mon’El relationship as his parents step up their efforts to get Mon’El to return to Daxam. Early on it seemed like this episode was going to at least partially focus on the fact that Kara had a bounty placed on her head and was going to have a number of alien Bounty Hunters making attempts on her life. This did happen to a degree but to have this relegated to two very small encounters felt like a disservice. Having so little focus on this plot made it seem less urgent and threatening so it was difficult to invest in this being a problem that really tests her. The individual sequences involving the aliens that attacked were solid enough though the early fight had some problems such as Kara’s punches clearly not actually landing. It was the second one that was the highlight. The alien telepath taking control of Mon’El’s body and using him to attack Kara was a nice touch as there was tension created by the fact that they didn’t want to hurt each other. Mon’El couldn’t do anything about it and Kara refused to attack. The episode took its time building the tension as neither side knew what to do. Winn solving the issue by hoping that an unseen stapler would pass as a gun was a delightful end to this. There was a missed opportunity in this episode to have Kara run off her feet with various aliens trying to cash in on the bounty offered in exchange for her life. The Mon’El drama could have still happened without Kara involved and having her life constantly be in danger throughout would have increased the urgency significantly. 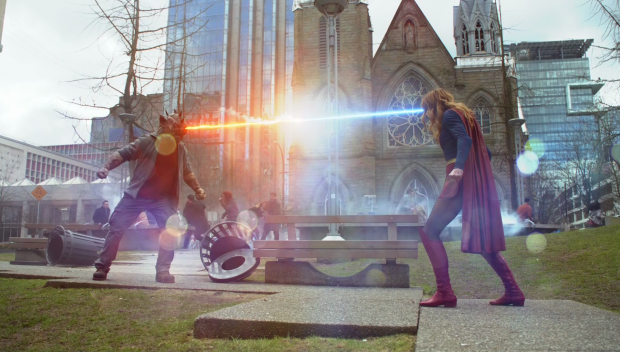 I’m sure there are budget reasons for the lack of alien aggression and I can accept that to a degree but this is another example of Supergirl failing to use the potential it has to the fullest. Mon’El still has to deal with his choice to remain on Earth as his parents are still in orbit waiting for him to change his mind. It of course turns out that his mother is trying to force the issue by placing a bounty on Kara. Convincing Mon’El that it’s too dangerous for Kara for him to stay on Earth is a predictable and underhanded tactic but it does create room for some interesting insight into Daxamite culture as well as Queen Rhea. The flip side to this is that Mon’El’s self sacrifice felt fairly empty because the urgency wasn’t attached to Kara’s predicament. She did have the bounty placed on her head but didn’t seem to be in any real danger at any point. Going back to the tired well of using Kryptonite to subdue her isn’t really effective as it felt like a cheap way to ramp up the tension. It just doesn’t work and the rest of the episode suffers as a result. 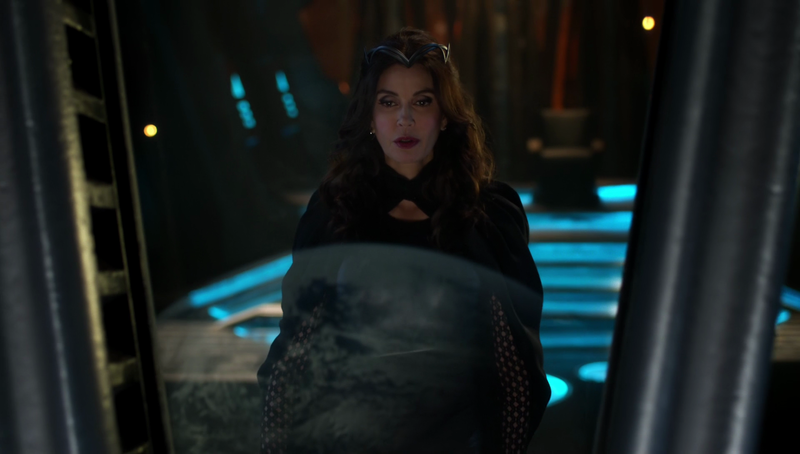 There isn’t so much focus on King Lar Gand but I really like Teri Hatcher’s portrayal of Queen Rhea. She clearly feels like she’s much better than everyone around her and that being treated like Royalty is her right. Her reaction to the patrons in the alien bar told us everything we needed to know about her sense of self importance. The fact that she doubts that anyone in the bar could be important shows how judgemental she is and how little she cares about and kind of change to her people. This comes into play in a big way once Mon’El agrees to go back to Daxam to save Kara’s life. He has learned a lot about respecting people since he came to Earth and wants to apply that to Daxamite culture by changing it completely and showing people the respect he feels they deserve. His mother shoots that down immediately because she doesn’t believe the people are entitled to what he’s suggesting. 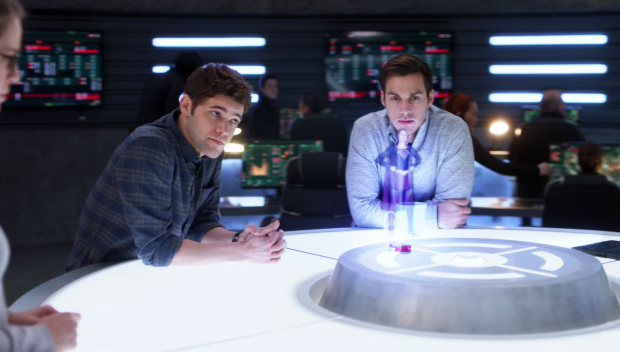 Mon’El is sent to be locked up for the duration of the journey back just for suggesting it so it’s clear that his mother only really cares about herself and preserving the status quo. Her attitude is not something that can be changed. King Lar Gand is a different matter. Obviously he has a lifetime of entitlement colouring his viewpoint but he is willing to hear Mon’El’s point of view and gets to the point that he’s willing to embrace the idea of change. 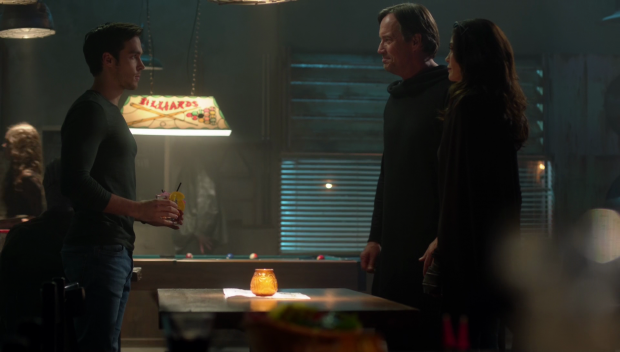 Mon’El’s appeal inspires him to at least respect that his son doesn’t want to go back to Daxam and will be much happier on Earth. He goes against his wife’s wishes and sides with Mon’El on that point. This is later discussed by Mon’El and Kara when Kara apologises for encouraging him to confront his parents since it almost led to her losing him. Mon’El sees Kara’s point of view in this case because he saw first hand that change is possible through his father. This is the first time that he sees Kara’s outlook as being valid because hoping for change isn’t pointless. The consequences for King Lar Gand going against Queen Rhea are significant. She takes his betrayal as a deeply personal one and kills him which is probably a bit of an overreaction after years of marriage but it also shows how committed she is to her own point of view. Any opposition is out of the question for her and she refuses to accept that her husband would be someone that wouldn’t support her. Now there is nothing to oppose her and it’s clear that she has big plans for Earth. Consequences is a loose theme that runs through the episode as seen though J’Onn’s role. He is explicitly told by the President to take no action against the Daxamite’s in case he provokes an interstellar incident. Once Mon’El is captured and it’s clear that Kara won’t accept this he decides to use the DEO’s resources to support her and help rescue Mon’El. Obviously the President’s fears are confirmed when Queen Rhea declares her intention to help Earth but it doesn’t alter the fact that this is a decision made by J’Onn that will have future consequences for him. I always like when authority figures aren’t always portrayed as being “right” when they break the rules. Whether this will mean that J’Onn is removed as director of the DEO or not is up for debate but there is a threat there. There is also a hint that the President’s intentions aren’t so noble but that could go either way since we don’t know what species of alien is or what her overall plan is if she even has one. Alex and Maggie’s plot references consequences as well but barely. Their struggle this week is to deal with the arrival of one of Maggie’s ex girlfriends which feels like it will go down a predictable path early on. It does but not the one I expected. My expectation is that Alex would feel insecure about this face from Maggie’s past and wonder if there are any lingering feelings there but mercifully we were spared a pointless love triangle. The predictability came from the fact that there was more to the story than Maggie was letting on. I found the handling of the reveal that Maggie cheated on her ex to be quite mature. Alex doesn’t care about the mistakes of her past but doesn’t appreciate the dishonesty. It seems fair enough but the story isn’t all that interesting because the drama feels entirely manufactured. Alex confronting Maggie’s ex about not showing up for dinner just isn’t how people behave and none of this did much to enhance this usually well handled relationship. Another issue is that their plots are often so divorced from the rest of the episode that they might as well be happening on a different show. Technically Maggie suffers some consequences for her past in terms of having to confront it but it’s not a strong showing of that theme nor does it develop the characters in any meaningful way. 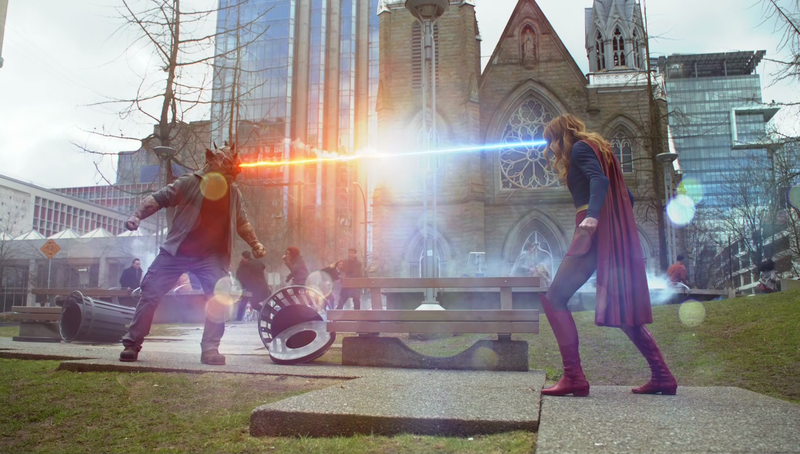 As I mentioned above the action was somewhat weak in this episode aside from the Kara vs. Mon’El fight. The climactic action sequence left a lot to be desired and I was really puzzled by nobody addressing the fact that Mon’El killed during the fight. Surely that’s something Kara is supposed to be against. An uneven episode that develops Queen Rhea as a villain really well but suffers in many other areas. Mon’El’s self sacrifice to protect Kara feels unearned because it never seems like she is in significant danger throughout. The bounty placed on her head amounts to two small fights that are fairly easy to deal with so the sense of jeopardy wasn’t there. Going back to using Kryptonite doesn’t really help matters either. Queen Rhea is a really good villain as her sense of entitlement comes through clearly. She actually believes that she’s superior to everyone else and is completely unwilling to change her ways. Locking Mon’El up for the duration of the trip back to Daxam shows this and the surprising murder of her own husband just because he chose to respect his sons wishes confirms it. The loose theme of consequences works in some ways and fails in others. J’Onn facing consequences for defying the President’s orders could prove interesting and it’s good to see that his decisions come at a price. Being forgiven for disobeying orders would make the whole thing meaningless. It also tells us a lot about J’Onn and his loyalty to those he works with. Maggie and Alex’s relationship in theory explores the idea of consequences this week when one of Maggie’s ex girlfriends comes to town and it is revealed that Maggie cheated on her. It adds nothing other than a reiteration of the honesty debate that we’ve seen countless times. I also found Alex’s behaviour to be bizarre in that she confronted Maggie’s ex about not showing up for dinner. The action sequences in this episode left a lot to be desired and apparently the fact that Mon’El killed just isn’t going to be addressed. Kevin Smith directed this episode. I participated in a round table interview with him so you can find that below the rating.